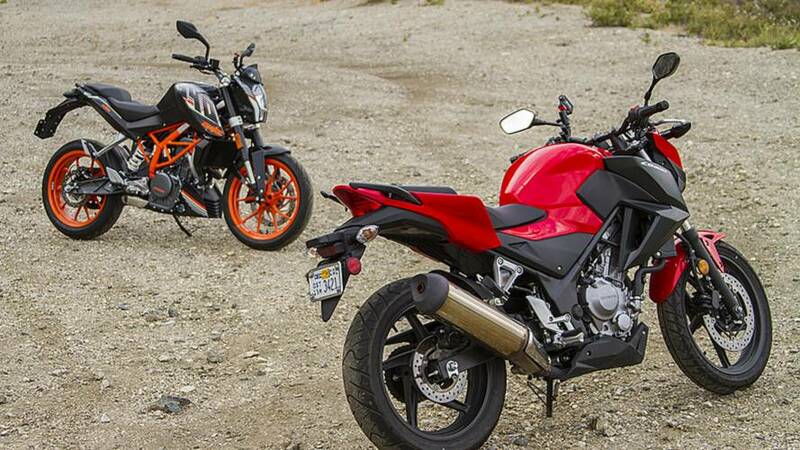 KTM Duke 390 Vs. Honda CB300F, we set to find out which naked entry-level bike is more fun and which is better for a beginner. 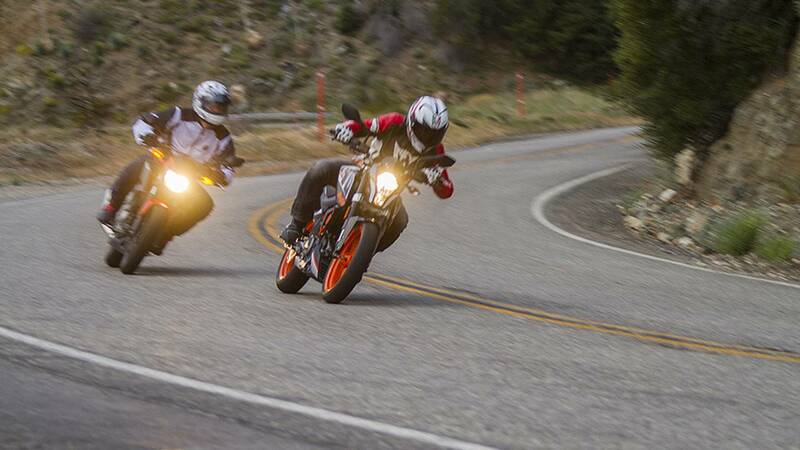 Everyone's been doing the small-bike shootout now that all the big players are in the entry-level sport bike game. Yamaha finally came to the kids table with the R3 and KTM—although having many small-bike options overseas—only just brought the RC390 to the States this year. 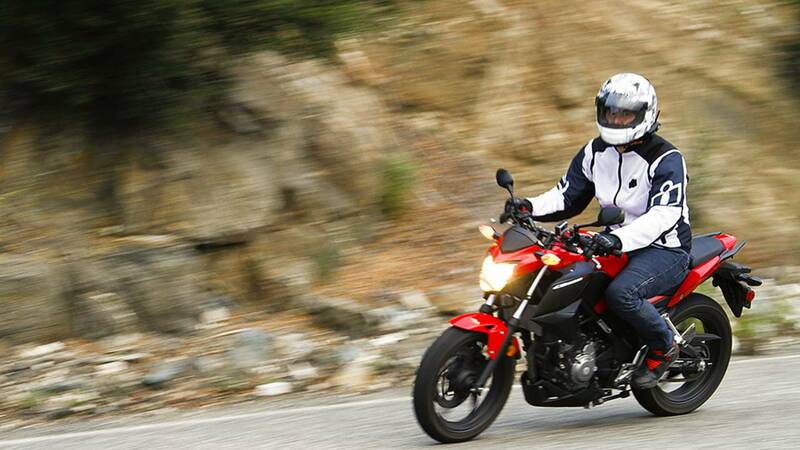 For 2015, that makes four comparable sub-300cc sport bikes (including the Kawasaki NInja 300 and Honda CBR300R). 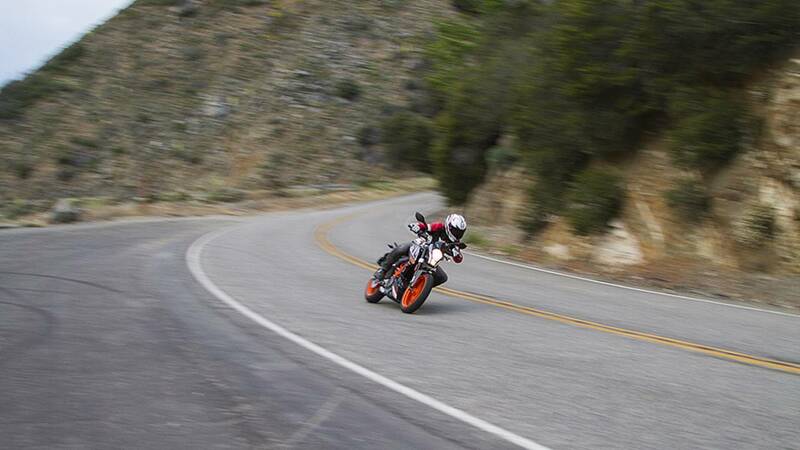 It's a great time in motorcycling. But what if you don't like sport bikes? 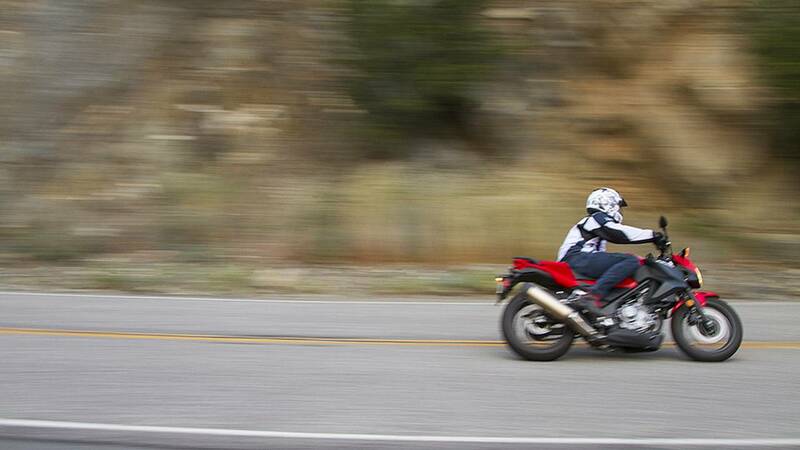 A naked or standard bike is often more comfortable, arguably more fun, and sometimes cheaper. 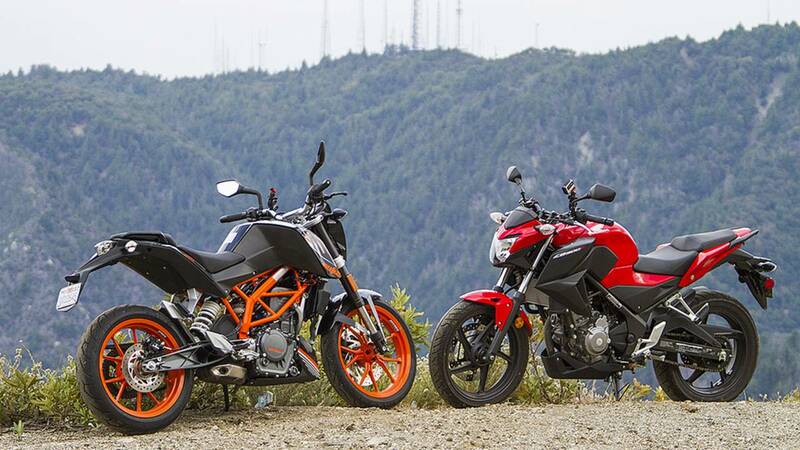 Well, only two manufacturers tackle this dilemma with naked versions of their entry-level sport bikes: the KTM Duke 390 and the Honda CB300F. 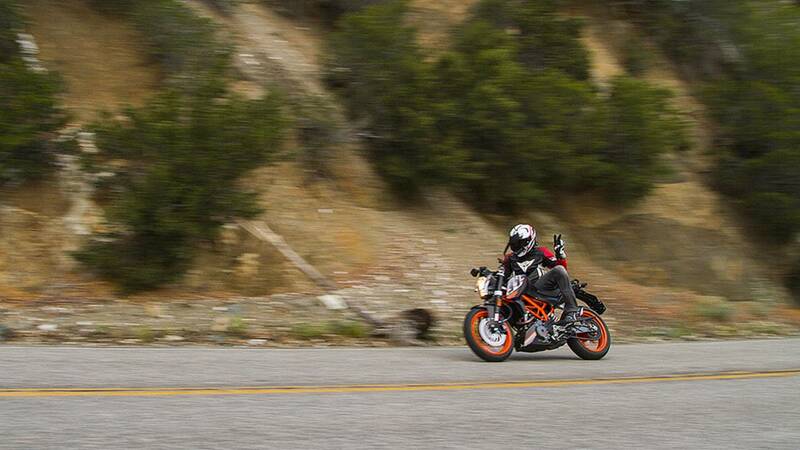 Both are cheaper than their fairing counterparts and both are more fun to ride (but that's up for debate). However, these two bikes are built very differently from one another. 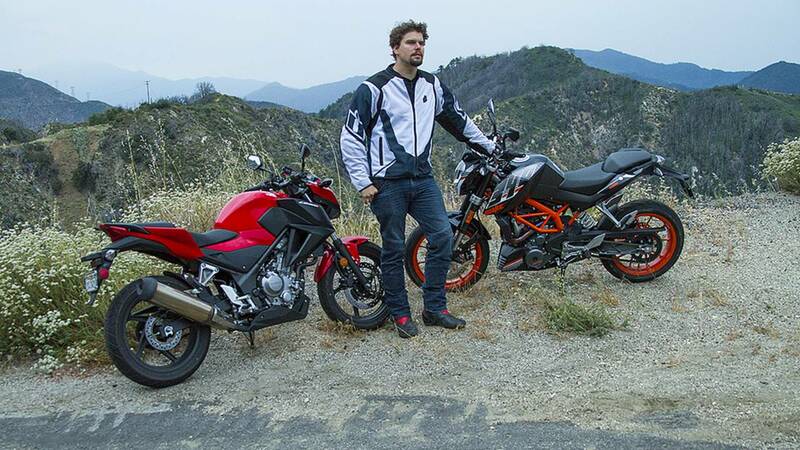 One is the longer-on-the-market sensible choice and the other has class-leading power, suspension, and features. So do these bikes even compare? Bruce Speedman and I set out to the mountains north of LA with to find out which little naked is more fun (oh, that sounded awkward).